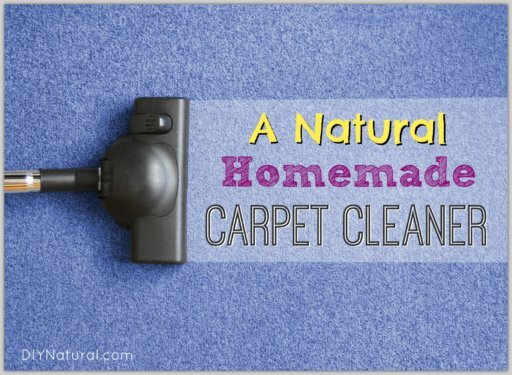 Being the mom of four kids, I have plenty of opportunities to use natural remedies. Between taking care of boo-boos and the occasional illness, I feel very comfortable pulling out the necessary remedy to fix the problem. I use all these remedies now, but there was a time when I had no idea what I was doing. Was I supposed to use herbs or essential oils? 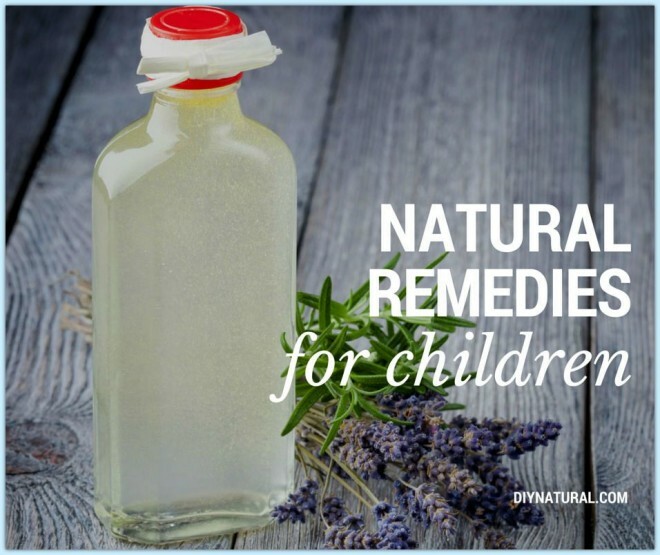 Was it safe to use remedies on my kids that I used on myself? What was a good dose? (We also dealt with illness a lot more then, which has seriously decreased since we started eating a real food diet). Thankfully, I learned as I went along and using natural remedies is now second nature. So much so, that my kids often know what they need to use on themselves (my crunchy mama heart is beaming with pride). Have you ever been in a houseful of small children? It gets loud. And a little chaotic. Enter lavender essential oil. If I notice my kids are getting a little too crazy (sometimes before then), I’ll give them some lavender essential oil. We keep some in a handy roll-on bottle and they apply a small swipe to their foreheads. Thankfully, it doesn’t take long before they calm down. While I use this oil on my kids, this is one that I don’t let them apply themselves. Tea tree oil is quite potent and it’s important to make sure kids don’t accidentally ingest it (you know, by licking it). That said, it is a great remedy for ear aches. I fell in love with lemon balm a few years ago because of its ability to soothe both the digestive and nervous systems. Someone has a tummy ache? Lemon balm tea. Can’t sleep? Sleep EZ tea – which contains lots of lemon balm. Feeling anxious or upset? Yep, lemon balm. A lot of my remedies seem to revolve around helping my kids rest. I attribute this to the fact that my kids are go-go-go, all day long and I know that adequate rest helps the body heal and maintain health. One of my kids’ favorite remedies is my Sleep EZ tea (with honey, of course). It consists of lemon balm, catnip and chamomile, herbs that soothe the tummy and the nerves and help promote rest. Bumps and bruises are inevitable in our house. Thankfully, we have arnica balm. My toddler alone could use a whole tin for himself, what with the way he always leads with his head – into walls, sidewalks and other inanimate objects. Arnica is a great herb not only for healing bumps, sprains and bruises, but it also helps to alleviate pain. My kids don’t love this remedy nearly as much as I do, but they’ll take it, as long as it’s in capsule form (my 3-year-old has no problem with capsules – he’s probably swallowed bigger Legos). Epsom salts are excellent at providing your body with magnesium, a mineral that many people are deficient in today. Inadequate magnesium levels contribute to insomnia, muscle cramps, irritability and headaches (among other symptoms). In addition, Epsom salts also help to detoxify the body. What are your favorite remedies for kids? Any suggestions of treatments for seasonal allergies in children? Try 1 drop each of lemon, lavender and peppermint in a gelatin capsule. I’ve been using this for the last few weeks myself and it helps control the sneezing and runny nose wonderfully. The big bonus is it doesn’t make me sleepy like conventional antihistamines. sounds good but my boys are 2 and 4 and very unlikely they will swallow the capsules. Sorry Ruth, I wasn’t thinking. For small children mix a drop of each oil with a few drops of a carrier oil (fractionated coconut oil, sweet almond oil, etc) and rub on the bottoms of their feet. That area contains the largest pores on the body which allows the oils to be absorbed the quickest. This oil blend can also be used in a diffuser. The oils are atomized along with water into minute ion particles and active oxygen ions, which are more easily absorbed into the body. Thanks for the great info! Just wondering if there are any good natural remedies for “growing pains”? My boys (5 and 3) both complain of leg pain regularly and I hate to give them OTC pain medicine. We’ve tried a heating pad and that works for my 5 yr old most of the time but I can’t get my 3 yr old to sit still long enough for it to ever really work on him…. I would do the epsom salt bath and arnica balm. Hope that helps! This may sound like a silly question but is there a herb or oil that anyone knows of that helps with frequent urination in children and bedwetting? Try Cypress oil from doTERRA or Balance oil. What do you do with those oils? Cypress and Balance are great suggestions. I would combine a drop of two of cypress with fractionated coconut oil and rub over the tummy/bladder area of your child before bedtime. If you use the Balance oil blend, I would suggest massaging that onto the bottom of their feet. The essential oil and carrier oil can be mixed together and also applied with a roller ball bottle. There is also Dr. Christopher’s Kid-E-Dry that has White Pond Lily, Slippery Elm Bark, Catnip Herb, Corn Silk, Hydrangea Root, Scullcap Herb & Parsley Root in a base of Vegetable Glycerine. Thanks for this information. My son has frequent urination during the day and night times are crazy. He doesn’t want any type of diaper and doesn’t bother getting when wet anymore so some days when I wake him he is wet from head to toe. Really hoping these suggestions plus managing his bowels will help. I love that I already have most of this stuff! I just have to be better about remembering to use it I guess. Especially the lavender and epson salt baths. Thank you for the reminders! Love the article. I NEED the lavender for my very active 5 year old. She has a hard time calming down during the days and falling asleep at night. How do I dilute it? I will apply with a cotton ball. Is water okay or should I use olive or coconut oil? Thank you very much. Essential oils can be diluted with fractionated coconut oil, sweet almond oil or any of the carrier oils. Lavender diluted with fractionated coconut oil in a roller bottle is great for children. Roll on the feet before bedtime. Doterra essential oils are 100% pure which means they are also effective used in a diffuser. Lavender is a great choice to diffuse in a child’s bedroom at night. Do you mix the essential oils directly into the bath with the epsom salt? Would it be ok to mix in lavendar essential oil? I will put in the salts and some lavender essential oil when I start a bath. Just a couple drops will do. Thank you…need to try this for my children who do not calm down well. What is the oil in the picture for? The Melaleuca? I have heard of that before, I think there is a whole company named after it that has “all natural” stuff. Can you use the garlic oil in dog’s ears too for infections and yeast? That’s tea tree oil. The brand I use calls it melaleuca instead (I think that’s the plant’s formal name). I don’t know about animal care, so I would check out Melissa Shelton’s page http://www.oilyvet.com/ and http://everything-essential.com. Lemon balm is also an excellent canker sore remedy. Chew a fresh leaf, then put it on the sore and leave it for as long as you can.Do this several times and the pain recedes, healing is hastened. I also use Lemon balm to fight colds. A poultice of warm raw chopped onion has helped heal several earaches for my children. Thanks for listing some useful things that I haven’t tried yet. I grow a lot of my own herbs, or wild harvest them, but haven’t worked with essential oils much due to their costliness and lack of equipment for obtaining them from my own herbs. Love LOVE lavendar for sleep and calm. My kids ask for oil on the soles of their feet at bedtime. Liquid calcuim is another sleep aid we use (although my kids hate the taste – think drinking chalk) but it really helps them stay asleep. We live in the Northwest with little or no sun during the winter. Vit D is one of our essential minerals/vits we take to help our systems through the dark days. Peppermint is great for cooling down on hot days (and equally wonderful to mommy for cooling down during those pesky hot flashes!). Lemongrass mixed with water in a squirt bottle is sprayed in their rooms to freshen up the “stinky kid” smell. I use a drop of orange in the wash for fresh smelling clothes without using perfumed laundry soap. Eucalyptus on the chest and throat for coughs and breathing easier during the cold. Remember to use coconut oil (or another kind) to cut the oil in case it’s too strong for your kids’ skin. NEVER use water to remove the oil; water makes it hotter. Use the oil again to help reduce the intensity. Stuff my grandmother used, she also used warm garlic, olive oil & lavender for earaches, for colds I use elderberry syrup at first sign of the sniffles. For the frequent ear infections that my son and I both get (the girls don’t get them) I have always used a garlic/mullein compound directly in the ear. It comes with a glass dropper, which I hold under hot water until the oil feels comfortably warm, then squeeze dropper into ear. Then – the patient lies down on the side that doesn’t have the oil, of course, with a heating pad set on low, held over the ear and the surrounding swollen lymph nodes. The warmth of the heating pad will help the lymphatic fluid circulate and do its job. This treatment and vitamin C, lots of fluids, and rest, has gotten us through some very painful ear infections in just a day or two. Thanks for sharing these great tips. Love the lavender and epsom salts. Will definitely try these. This time of year kids are prone to plenty of colds. 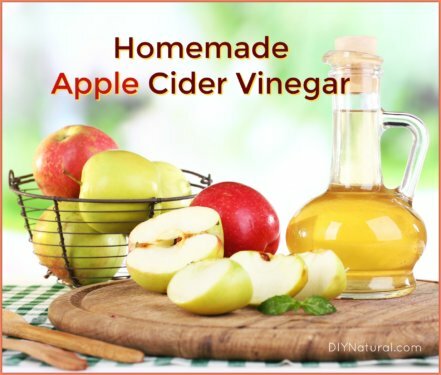 We all take Bragg organic apple cider vinegar, organic honey and cinnamon daily which really helps fight of infections. If we do get the sniffles, a tea spoon of organic honey every four hours does the trick. Nice! I’ve been treating myself with natural oils for a long time now since my family, specially my mother, use all kind of natural remedies to relief pain, aches, infections and more. Tea tree oil is amazing to treat minor infections. You can use it diluted in water (to or three drops per glass) to help with sore throat due to an infection. Melissa is another good thing to get rest and also to help relax some sore muscles. Thyme is good for headaches! Apply two non diluted drops to your head temples, forehead and back of the head and it’ll do. Lavender is amazing for burns. I am just shocked at how quickly it kills the burn pain, stops the blister from even forming if you treat immediately, and heals the residual would. For my last oven burn on my thumb, I simply ran it under some cool water from the tap for about 30 seconds and then coated the burn area with lavender oil. All the pain faded and then stopped in about 2-3 minutes and that was it. No blister….nothing. :0) Love it. LOVED this article!! My question is regarding allergies though, which you may or may not know the answer to. My 16 month old has fairly extensive allergies, including some that are very severe. We are helping boost her systems with black licorice and red clover – that aside, with the remedies above, do you know anything about potential allergic reaction? I know about honey, but with the actual essential oils, I am new to the game and curious. Thanks so much!!! 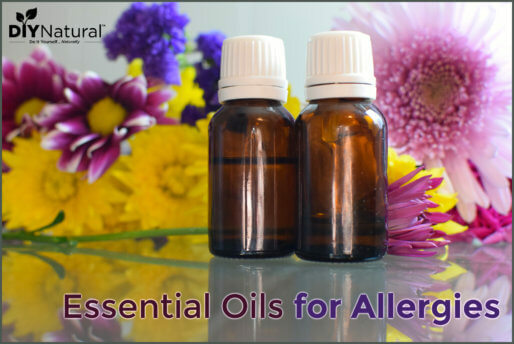 Lavender, lemon, and peppermint doTERRA essential oils for allergies. My five year old daughter has food allergies and we use this combination for her if she starts to have a reaction. Hi, I was wondering how much Epsom salt do you use in the bathtub? I think most packages say 2 cups per bath. At least, that’s what the directions say on the different kinds I’ve used. I really appreciate this. I have started using oils, but it’s difficult to know what to use them to do. The comments with other natural remedies are also helpful. Thanks, everyone! Although I don’t have kids now, this is a great article for me to keep saved for the future! Thank you! As for colds, there’s one remedy that works every time and extremely quickly in my house. Simply boil either kale or mustard greens (or both! ), add a little sea salt to the juice, and drink down. If you have those pre-cold sniffles, they disappear. If you have a cold at the time, within the next day or two it’s gone. This remedy has even abated the flu in my mother before within a couple days. It’s definitely worth a try! Thanks again for the great article. I give my kids cooked garlic with coconut oil to drink when they have a cold. All I do is cook some garlic in coconut oil and let it cool down and give a tsp by mouth. I also put some drops in affected ear for ear infections and warm and apply to throat and around outside of ears. Thank you so much for these ideas. I will have to go on a shopping spree. Last night my daughter complained of an earache so I soaked a small piece of cotton with Mullein Garlic compound (in olive oil). She loves it because it makes her ear “nice and smooth”. lol This is my go to ever since she was 26 months and had a double ear infection with 3 rounds of antibiotics. The doctor referred us to an ENT 4 days later. I was fearful that he would tell me she needed tubes. I started using this oil 3 times a day combined with rubbing it behind her ear for 5 minutes at a time. After the 4 days, we walked into the appt with ENT. After testing her and checking her ears. He asked why we were there because her ears are perfect. What a relief! There is no doubt in my mind that natural remedies work. Thank you again! Hi Emma! I’m wondering, do you make your own garlic mullein tincture, or is there a certain brand that you buy? I would love to be able to have/make this, too!